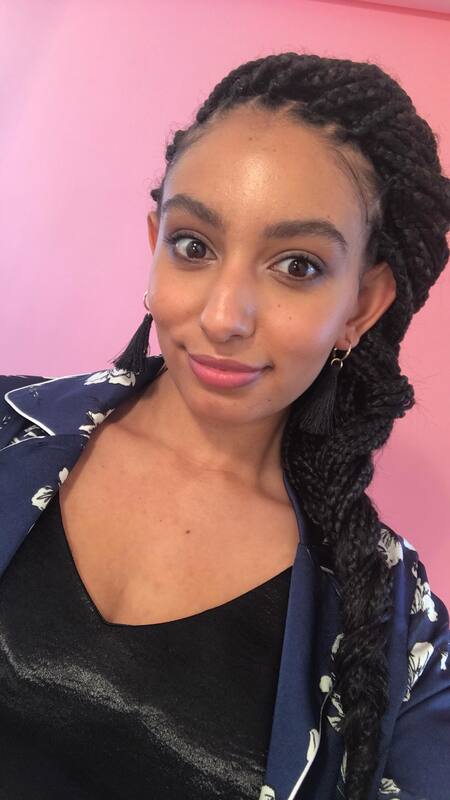 Our Junior Beauty Editor gives us the lowdown on box braids. For the past year or so, I’ve been growing out my natural hair. During this time, I have inevitably fallen into a hair rut (you’d think that wouldn’t be possible in my job), but by getting box braids, one of the hottest protective styles around, I have managed to reinvent my look. And guess what? I’m now a serious devotee. It’s hard not to be, when they keep your natural hair tucked away, require hardly any maintenance and look super-cute all year round. Still on the fence about trying box braids? Just read all about my experience and what I’ve learned from getting them, below. Are you ready to channel your inner Janet Jackson with fierce, thick box braids? Or, are smaller boho braids (à la Zoë Kravitz) more your vibe? If you’re not quite sure yet, it probably means you need to spend more time looking for mane inspo. 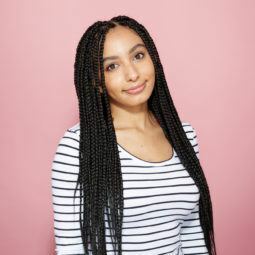 Knowing the kind of box braids you want will make you feel excited and confident to get them, so make sure you take the time to do your research to find the ‘do of your dreams. Up next: 8 Poetic Justice braid styles rocked by celebs. Since box braids are a long-term protective style, it’s important to make sure your strands are prepped before you get them, as you probably won’t wash your hair as often. Yep, this means you’ve got to dedicate a few hours to thoroughly cleansing, deep-conditioning and detangling your mane. But just think about how strong your arms will feel afterward! 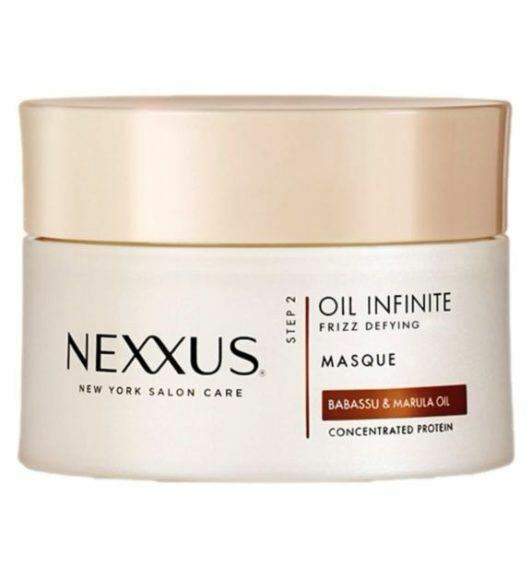 Editor’s tip: Using a moisturising hair mask like the Nexxus Oil Infinite Mask, will help your hair feel nourished and more manageable, which is great for prepping your hair for box braids. Yep, by the 4th hour, you’ll start questing why you thought getting braids was a good idea – that is until you see how amazing the results at the end. Another catch that comes with getting braids? The discomfort of getting them weaved in, of course. Whether you’re doing them yourself or getting them done at a salon, make sure your braids aren’t done too tightly to avoid a tension headache. And FYI, sleeping with box braids for those first few nights will be a nightmare, but after the discomfort has stopped, you’ll be able to whip your hair back and forth with ease. To limit the amount of friction on your strands, sleep with either a silk bonnet or on a silk pillow. While you won’t have to worry about washing your hair as often, it’s important for you to maintain your locks with a leave-in conditioning mist. Use on your scalp and strands in order to keep your mane hydrated. Editor’s tip: Ensure your braids look super moisturised with the TRESemmé Botanique Nourish & Replenish Hydrating Mist. 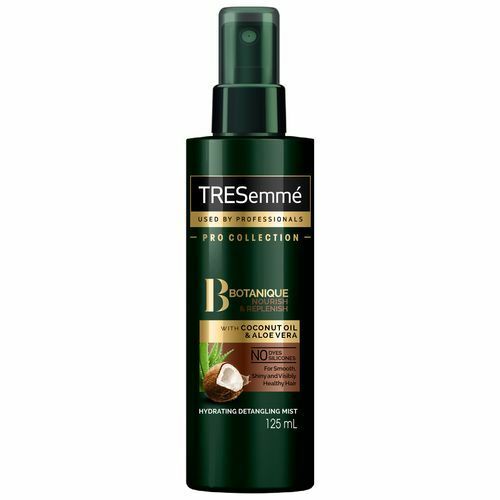 This tropical-scented mist is all you need to make your mane feel refreshed. Once you’ve hit the three-week mark, you’ll probably want to wash your braids with a nourishing shampoo and conditioner, but just make sure your braids are completely dry after you’ve washed them, or you’ll be a dripping everywhere! Follow up with a smoothing oil to help tame any pesky strands, then lay your edges with your favourite hair gel and get ready to #slay. This side braid will make you feel fabulous! 5. And finally, styling is simpler (and fun)! Now, for the fun part: trying out as many hairstyles as you can. Whether you rock a heavenly half-up, half-down style, a chic ponytail or wear them down, you’ll look put together 24-7. So, enjoy showing off your new braids and take a selfie (or ten! ).